Auditor General Eugene DePasquale presenting his audit of the Pittsburgh Water and Sewer Authority on Wednesday, Nov. 1, 2017. 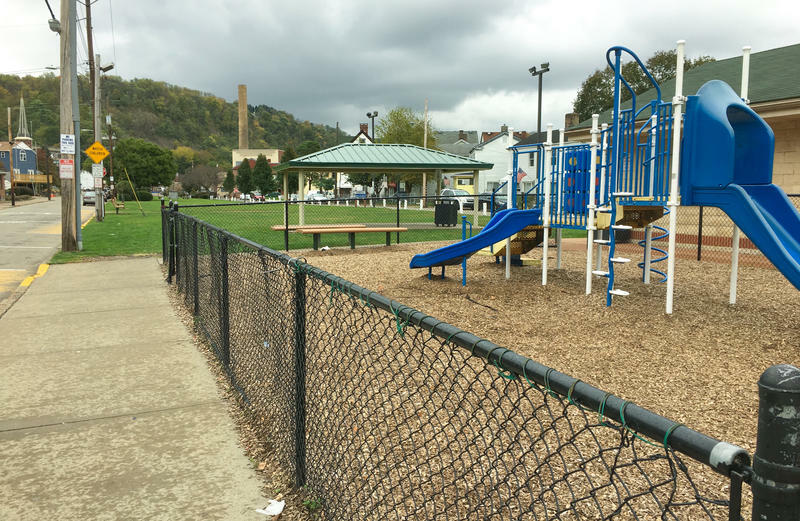 An audit of the Pittsburgh Water and Sewer Authority shows an urgent need for immediate action on several fronts, including addressing the organization's more than $750 million in debt, crumbling infrastructure and lack of leadership. The report, which covers Jan. 1, 2014 to June 30, 2017, was conducted by State Auditor General Eugene DePasquale. "I don't believe that this is rising to some level of corruption," he said. "I think this was a bad setup from the beginning that led to a path of bad results." 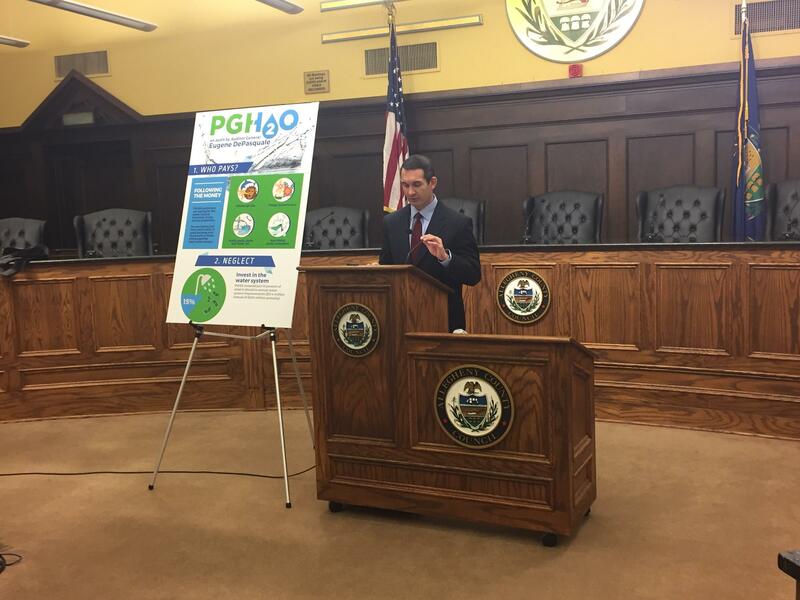 DePasquale noted that 400 city-owned properties, the Pittsburgh Zoo and PPG Aquarium and the Phipps Conservatory receive free water from the authority, due to a 1995 co-op agreement between PWSA and the city. According to the audit, 90 percent of the city-owned properties do not have a water meter, leaving the PWSA unsure of how much free water the city uses each year. The audit recommends the authority charge these entities for their water use to offset the costs that fall on 82,000 customers. It also found that an abundance of pipe breaks since January 2014, 3,500 in total, amounting to about two-and-a-half breaks per day. PWSA is also unable to bill about 50 percent of its clean water due in part to leaky pipes that cannot be located. High levels of management turnover also hurt the authority, according to DePasquale. He said 4 of 5 senior-level management positions at PWSA turned over at least once since the start of the audit. The report, now available on the Auditor General's website, outlines 17 recommendations in total. DePasquale envisions a public-private partnership could help solve financial issues, though he said he was not sure what organizations would feel comfortable getting involved with the struggling authority. 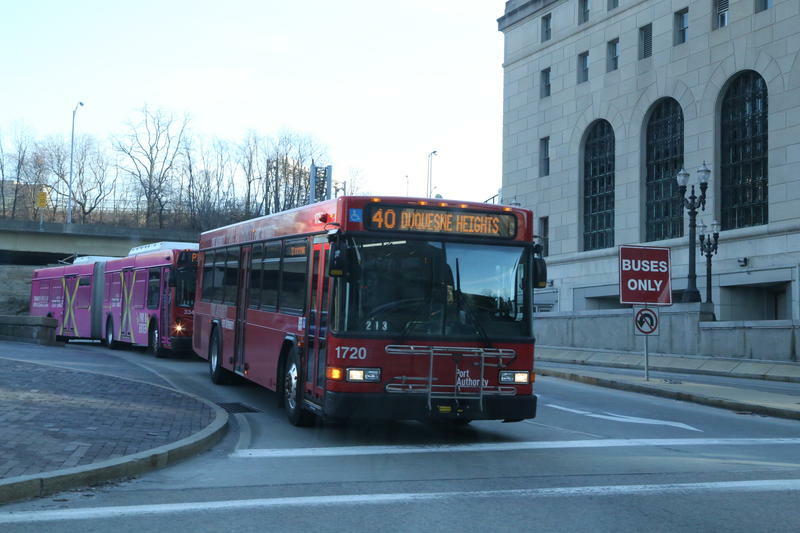 In response to the audit, PWSA Board Chairperson Debbie Lestitian said, "the board will consider and act on many of these recommendations as we guide PWSA toward becoming the utility Pittsburgh expects and deserves." PWSA Interim Executive Director Robert Weimar said, "the audit released today sheds light on the historical and structural conditions that have placed PWSA in a difficult position today. Fortunately, PWSA and its Board of Directors are currently taking action to stabilize infrastructure, invest in needed capital improvements, and adding to our leadership team who is committed to advancing the organization." On a brisk afternoon, Brittany Reno is walking through Sharpsburg’s business district on Main Street, giving a tour. “We’ve got a thrift store right here, St. Vincent de Paul, which takes care of a lot of our people," says Reno. "We also have a lot of family owned businesses here."